Below you can view all the homes for sale in the Skybrook North Villages subdivision located in Concord North Carolina. Listings in Skybrook North Villages are updated daily from data we receive from the Charlotte multiple listing service. To learn more about any of these homes or to receive custom notifications when a new property is listed for sale in Skybrook North Villages, give us a call at 704 604 8836. Why wait for new construction when you can move right in to perfection? MLS#3496938. Berkshire Hathaway HomeServices Carolinas Realty. So much home for under $300,000! MLS#3497782. Southern Homes of the Carolinas. Treat yourself with the best... And today could be the day you do it! MLS#3496547. EXP REALTY LLC. TANKLESS water, smart home tech, deluxe 2-piece crown molding, wainscoting, cased windows, 5" baseboards and tray ceiling MLS#3494266. DR Horton Inc.
Trey ceiling in master bedroom w/sitting room, huge closet, separate garden tub and ceramic tile shower in master bath, TANKLESS WATER HEATER, plus many more great features. MLS#3494375. DR Horton Inc.
Trey ceiling in master bedroom w/sitting room, huge closet, separate garden tub and ceramic tile shower in master bath, TANKLESS WATER HEATER, plus many more great features. MLS#3494403. DR Horton Inc.
Trey ceiling in master bedroom w/sitting room, huge closet, separate garden tub and ceramic tile shower in master bath, TANKLESS WATER HEATER, plus many more great features. 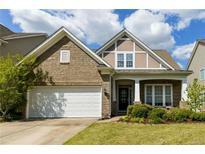 MLS#3494346. DR Horton Inc.
Trey ceiling in master bedroom w/sitting room, huge closet, separate garden tub and ceramic tile shower in master bath, TANKLESS WATER HEATER, plus many more great features. MLS#3493245. DR Horton Inc.
Outside the paver patio and newly sodded and landscaped yard will be a perfect retreat. MLS#3490923. Berkshire Hathaway HomeServices Carolinas Realty. TANKLESS water, smart home tech, deluxe 2-piece crown molding, wainscoting, cased windows, 5" baseboards and tray ceiling MLS#3487922. DR Horton Inc.
Tankless water heater, smart home tech, deluxe 2-piece crown molding, wainscoting, cased windows, 5" baseboards and tray ceiling MLS#3487909. DR Horton Inc.
Trey ceiling in master bedroom w/sitting room, huge closet, separate garden tub and ceramic tile shower in master bath, TANKLESS WATER HEATER, plus many more great features. MLS#3487932. DR Horton Inc.
Trey ceiling in master bedroom w/sitting room, huge closet, separate garden tub and ceramic tile shower in master bath, TANKLESS WATER HEATER, plus many more great features. MLS#3487930. DR Horton Inc.
Trey ceiling in master bedroom w/sitting room, huge closet, separate garden tub and ceramic tile shower in master bath, TANKLESS WATER HEATER, plus many more great features. MLS#3487927. DR Horton Inc.
Trey ceiling in master bedroom w/sitting room, huge closet, separate garden tub and ceramic tile shower in master bath, TANKLESS WATER HEATER, plus many more great features. MLS#3487659. DR Horton Inc.
Trey ceiling in master bedroom w/sitting room, huge closet, separate garden tub and ceramic tile shower in master bath, TANKLESS WATER HEATER, plus many more great features. MLS#3487681. DR Horton Inc.
Trey ceiling in master bedroom w/sitting room, huge closet, separate garden tub and ceramic tile shower in master bath, TANKLESS WATER HEATER, plus many more great features. MLS#3487683. DR Horton Inc.
Tankless water, smart home tech, deluxe 2-piece crown molding, wainscoting, cased windows, 5" baseboards and tray ceiling MLS#3487543. DR Horton Inc. This home gives you a 1st floor flex room for a study/ office so that you don't have to sacrifice one of your 5 bedrooms. MLS#3487399. DR Horton Inc.
TANKLESS water, smart home tech, deluxe 2-piece crown molding, wainscoting, cased windows, 5" baseboards and tray ceiling MLS#3487474. DR Horton Inc.
Drop zone area at front door, Heavy moldings throughout the main level.....Tastefully optioned and designed! You will be impressed :) MLS#3482427. RE/MAX Leading Edge. Popular Hampshire plan . Entered for comps purposes only. MLS#3479682. DR Horton Inc.
Out back you will find a picturesque backyard finished out with paver-patio, pergola, FIRE PIT and beautiful landscaping! A must see! MLS#3478671. Keller Williams Lake Norman. TANKLESS water, smart home tech, deluxe 2-piece crown molding, wainscoting, cased windows, 5" baseboards and tray ceiling MLS#3475633. DR Horton Inc.
Downstairs you will find another bedroom w/full bath, plus a half bath for guests, beautiful wood floors on main level, chef's kitchen w/upgraded tiered cabinetry, gas cooktop w/stainless steel hood, tile backsplash, granite counters, office w/french doors, formal dining room w/upgraded coffered ceiling, 2 inch faux wood blinds already installed thru-out the home. MLS#3474533. United Brokers Ltd.